Today’s education determines tomorrow’s society. Therefore educational buildings deserve the best quality. 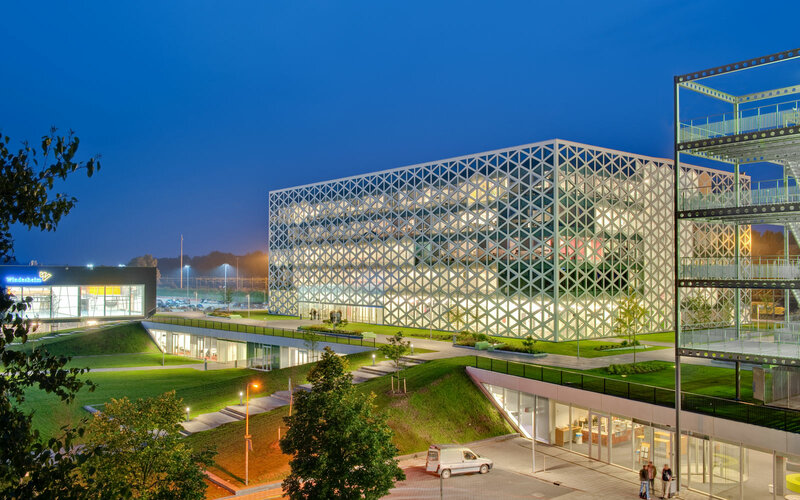 We design educational buildings together with the users, for the users. Buildings that they are proud of and where cross-fertilization takes place. We have extensive expertise in designing and building educational buildings on all kinds of levels; from primary and secondary schools to distinguished universities. Every educational building has its own identity and its own ways of shaping knowledge sharing. A way of shaping this, can be by using smaller domains, each focusing on different characteristics; like a homey character, practical education, or a more classical classroom-minded approach. We design the physical space fitting its identity and try to stimulate synergy, meeting and communication as much as possible. 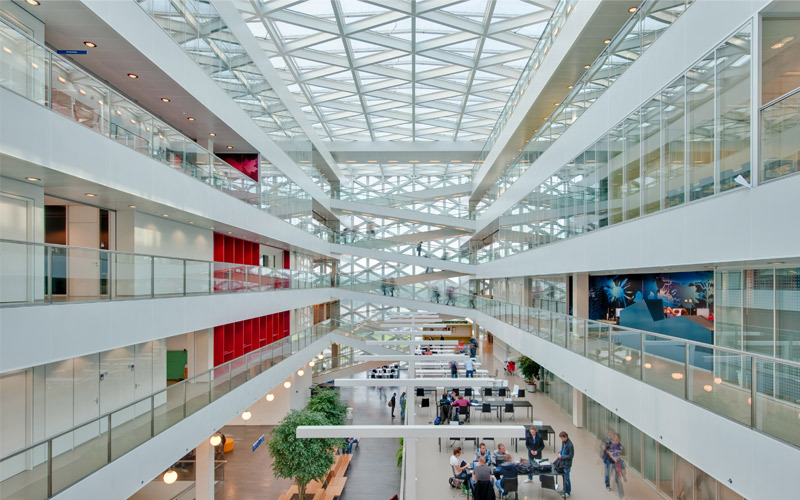 By creating central spaces, making the building transparent and by creating shared space and facilities, we achieve this. Our experience with designing academic buildings, makes us aware of the fact that circulation of knowledge is of great importance. Not only the right facilities or equipment, but also the optimal coherence of the rooms, functions and users, makes an academic building high-standard. Educational buildings are responsive to current issues in society; they are a reflection of all sorts of educational concepts and of the society they are in. Our firm is capable of making those changes in society and education visible in a building. Our designs are based on educational concepts, which we implement from inside out. Moreover, we always come to a suitable accommodation together with our users. 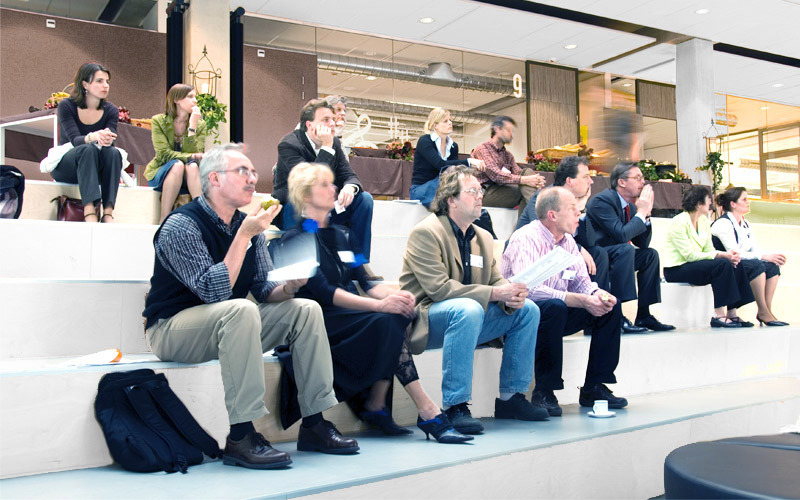 From day one we inform our users and participate in user meetings. We have experienced that this improves the design and that it creates more support from the users. 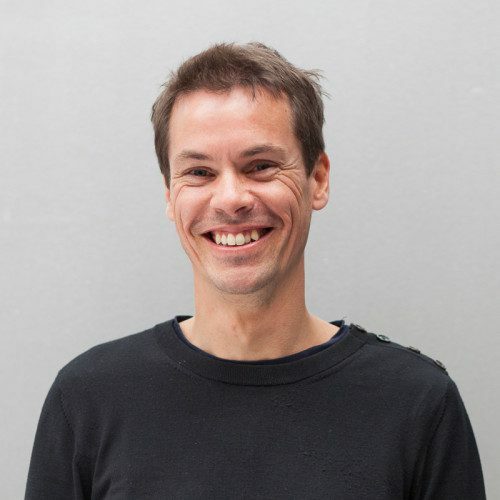 By involving the user in the design process, we are able to realise good, appealing buildings that both literally and figuratively fit in society. We use a range of actions to limit the use of energy and exploitation costs. 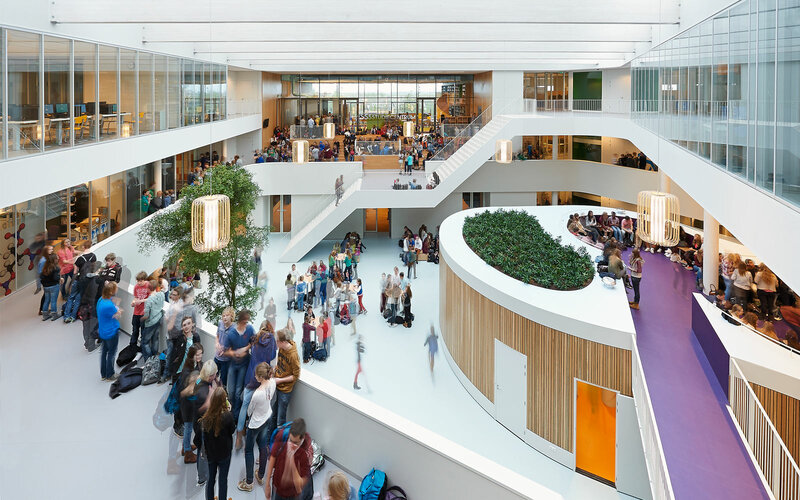 Building with the ‘frisse scholen’ concept (literally: ‘fresh schools’: designed with special attention to energy saving and ventilation) results in a healthy building with low energy costs; something we apply to most of our primary and secondary schools. We pay special attention to the indoor climate and focus on a pleasant comfort for the user’s wellbeing. Daylight and natural ventilation are essential and we prefer solutions that are energy-conscious and costs-conscious. 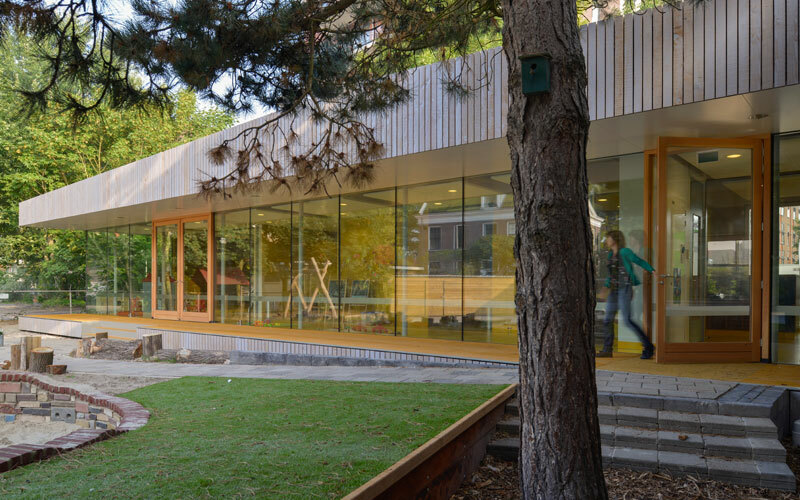 An example of applying these aspects, is designing a compact building, in which the orientation provides plenty of natural daylight. When it fits the ambitions of the client, we add even more sustainability measures. We are also experienced in designing passive schools, in which the energy needs are reduced to a minimum. 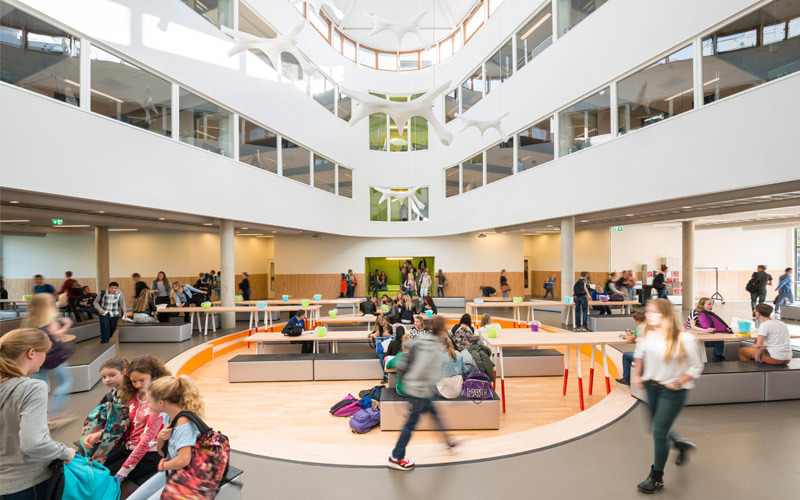 We recently added a passive school to our portfolio: GSG Leo Vroman is the first secondary school in the Netherlands that has been built using the passive school concept. 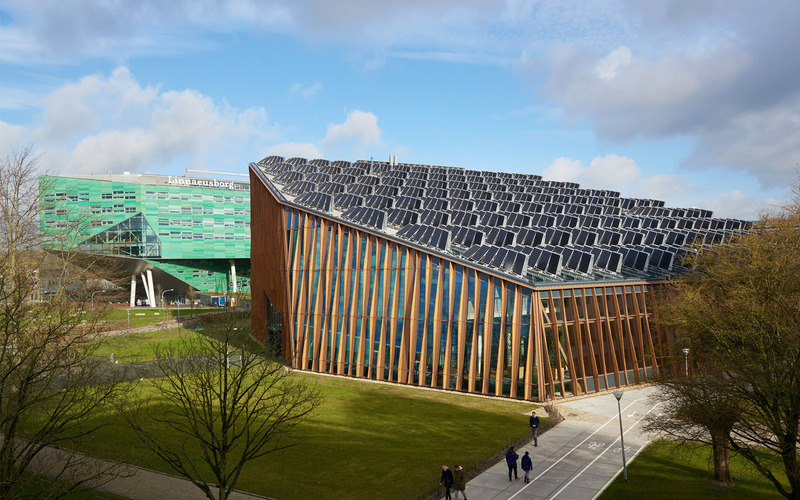 For the University of Groningen we designed the Energy Academy Europe: a building that is not only energy efficient, but produces energy and is the first educational building in the Netherlands with a BREEAM Outstanding score. Each educational building should be a building that inspires. Quality is of primary importance in achieving this. A well-thought design, good detailing and high-standard finished interiors play a key role, also for buildings with a limited budget. We have thorough experience and knowledge of materials and finishes to ensure quality at every budget. Together with the client, we look at the total life cycle of a building. By doing so, the costs of materials and exploitation are always part of our designs. We are happy to tell you more about the expertise Education.